New Muhammad Ali Biography Reveals A Flawed Rebel Who Loved Attention "I don't think we do Ali any good by treating him as a saint," says biographer Jonathan Eig. "He was a human being, and he was deeply flawed, but ... he had the spirit of a rebel." 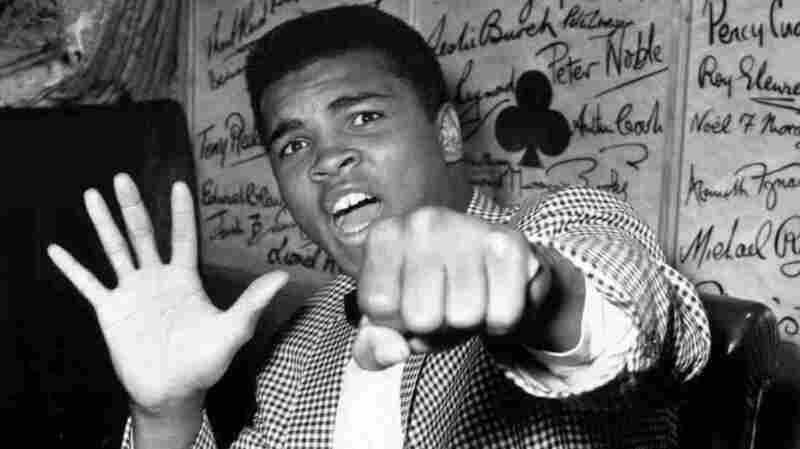 On May 27, 1963, Ali (known then as Cassius Clay) held up five fingers in a prediction of how many rounds it would take him to win against British boxer Henry Cooper. In June 1963, he fulfilled his prediction and was declared the bout winner after five rounds. I don't think we do Ali any good by treating him as a saint. He was a human being, and he was deeply flawed, but I think the reason people look to him this way is because he had the spirit of a rebel. Eig spent four years learning about Ali by interviewing the late boxer's associates and former wives, and poring over previously unreleased FBI and Justice Department files. His new book, Ali: A Life, chronicles Ali's remarkable boxing career, his role as a social critic and his colorful and often chaotic personal life. Eig says that although Ali was attacked for his political views at the time, attitudes towards the boxer shifted as American support for the war waned. "To see this guy who goes from being the most hated man in the world to being the most beloved in many ways, to being seen as this kind of saint is fascinating," Eig says. 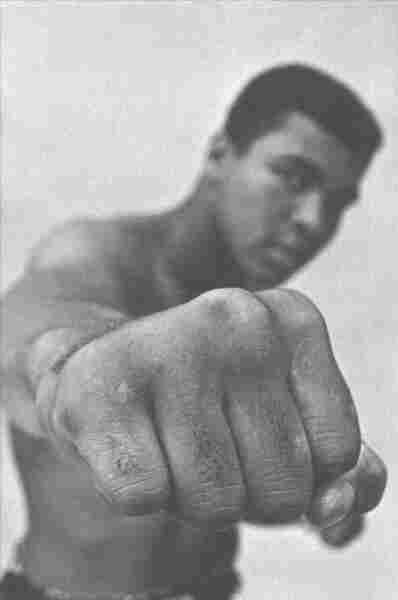 "And I don't think we do Ali any good by treating him as a saint. He was a human being and he was deeply flawed, but I think the reason people look to him this way is because he had the spirit of a rebel. He was willing to fight for what he believed in." Immediately after the fight [with Sonny Liston], he makes this very bold pronouncement that really shocks everybody: He admits that he's a member of the Nation of Islam and that he's not going to accept this Christianity anymore. This was a slave religion that was forced on him and his people during slavery, and he was free to choose whatever he wanted. And he makes this important declaration of independence really. He says, "I don't have to be what you want me to be. I don't have to say what you want me to say. I don't have to do what you want me to do. I'm free to be who I am." That's really, I think, the defining moment in Ali's career. It's his coming out, and at a time when African-Americans were expected to be subservient in American culture. For him to say, "I can do what I want," was radical. It was fascinating because he was a brilliant marketing guy. He understood that he was going to get a fight with Sonny Liston sooner than anybody else, before he was really qualified based on his boxing record, because he was making so much noise. He ends up becoming even more hated for more legitimate reasons, and then he becomes the most beloved man in the history of boxing. So that is fascinating to see how well he manipulated that. He showed more respect for his white opponents. It's almost like it was this line he didn't want to cross, that calling these white opponents names, that belittling them was more complicated for him. It was dangerous. He didn't want to do it. But calling out other black men — some people I talked to said they thought he had his own sense of inferiority. [Boxer] Joe Frazier was a tough kid who came up out of poverty. [Boxer] George Foreman grew up in the ghetto, dirt poor. Ali was middle class. He didn't fit in with the world of a lot of other boxers. ... Ali wasn't of that demographic, so some people have speculated that he was acting out this way to prove he was as bad and as black as anybody else. Everybody kind of wondered why Ali had this miraculous ability to dodge a punch, and some doctors I talked to said it might've actually been connected to his dyslexia, that when you're dyslexic your brain works differently. When you learn to read, your brain gets re-wired so that you focus really carefully on one thing, you can concentrate really hard on those letters on the page. But when you never learn to read, your brain remains more accessible to outside forces. You can maybe hear and understand two conversations at one time, because your brain hasn't been re-wired by the process of learning to read. Ali, because he learned to read very late and never really very well, may have been better at picking up visual clues than most people. He may have been able to see little signs in his opponent's body that suggested when and where the punch was going to come. It's a fascinating theory, I think. When he comes back from his exile, first of all, the war is wildly unpopular. And so, when he began his protest, there was still very strong support for the war in Vietnam. But by 1971, people can say, "Wow, Ali was right. That war has been a disaster. No wonder he didn't want to fight over there." He also has suffered. He's given up three and a half years of his career and millions of dollars, and then he comes back to the ring and he fights Joe Frazier and he gets whooped. ... This is one of the greatest and most vicious fights in boxing history and Ali loses, but he stays on his feet. He survives this thing. I think then you begin to see him as a martyr, as a hero, and somebody who gets knocked down and keeps coming back. Sam Briger and Therese Madden produced and edited the audio of this interview. Bridget Bentz, Molly Seavy-Nesper and Nicole Cohen adapted it for the Web.